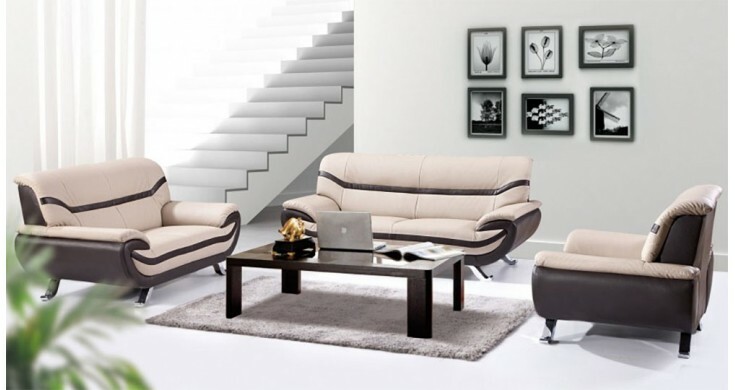 Here we have our gorgeous bonded leather sofa suite in cream and brown, it comes in a variety of colours. This smart and modern design will compliment many surroundings, chrome feet are included to add more of a modern feel to the sofas, great for apartments. You also have the option for the full set of a 3 + 2 + 1 & a coffee table! Available in , black/red, black/white, cream/brown. Cheap sofas from RJF Furnishings do not mean cheap in quality, try for yourself today..